A spectacular Mount Shasta sunrise. It doesn’t get much better than this! 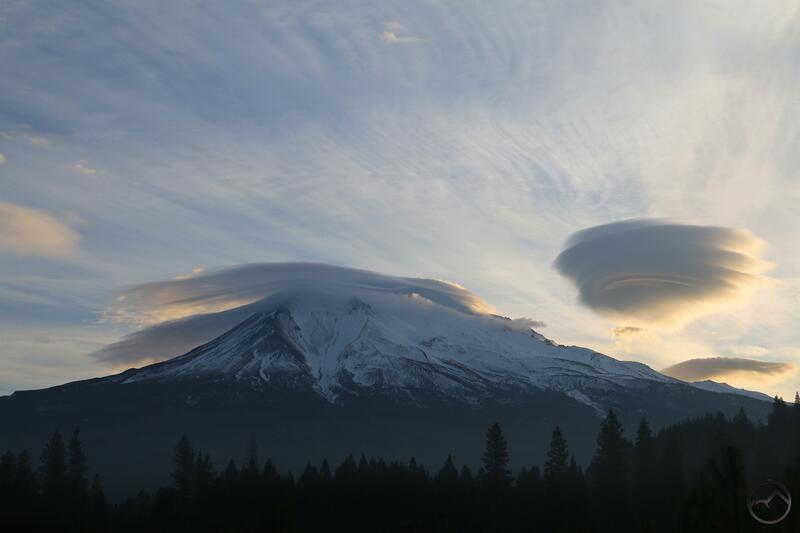 Once again, Mount Shasta has graced us with an astounding, magnificent lenticular spectacle. Beauty like that which was on display today is of the sort that reminds us that there is something bigger, something grander than ourselves and what we are often able to perceive. It resonates within us and compels us to gaze up at the mountain, its attendant clouds and the radiantly dawning sun and stand in awe. Today, the spectacle began before dawn and reached its apex as the sun came over the horizon. The scene this morning certainly rates as one of the grandest I have seen. A large stack of floating disks hovered above the southern flanks of Mount Shasta while a vast, lens-like cloud cascaded perpetually over the summit. The unceasing flow looked slow from a distance but it was no doubt moving at an incredible speed. At times the lens over the summit opened up a tunnel and, as the sun came up, the tunnel through the wave lit up and glowed with the rising sun. Completing the incredible scene was a vast expanse of wavy clouds in the upper reaches of the troposphere. These two caught the light of the emerging sun and were aglow across the sky. The show did not end with the morning either. Though at times it became overcast, the large, free-floating lenticular stack persisted throughout the day. 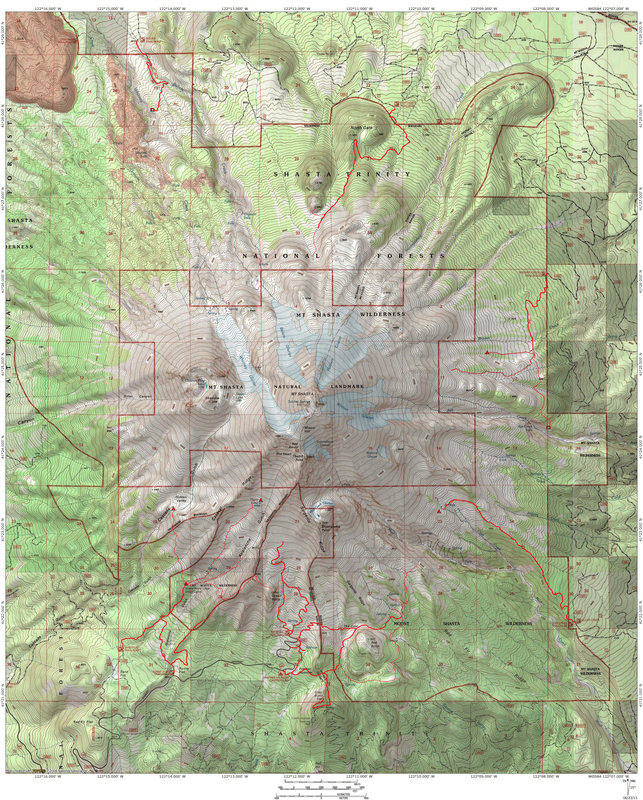 The stack continued to change its shape as disks appeared and disappeared and their size fluctuated but their position on the south side of Mount Shasta remained constant. By the afternoon, the sky was largely clear save for the hovering stack, which rose high above Mount Shasta’s summit. A small wave developed between Mount Shasta and Shastina, but it never grew to the massive size that had was such a staggering presence in the morning. Frustratingly, as the sun set and the alpenglow began to illuminate the great mountain’s snowy flanks, the stack dissipated. I was disheartened, sad that the chance for a magnificent sunset had passed by. On my way home, I saw that a small disk had returned to the stack’s position but it never approached the grandeur that had been consistent throughout the day. Nonetheless, I was satisfied. After such a magnificent morning and a beautiful day, one feels grateful to have had the privilege of witnessing an incredible sight. Here is a gallery of how the clouds appeared throughout the day. Click to enlarge and scroll through them!